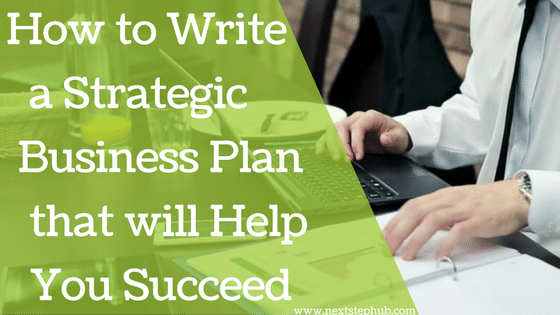 Creating a strategic business plan is the key to any business success. As an entrepreneur, your business plan serves as the solid foundation of your business. It will help you set goals, targets, and determine your marketing approach. And since your entrepreneurship journey, much like freelancing is unpredictable, having a concrete plan will prepare you for challenges you’ll encounter. It will also give you a competitive advantage. The business planning process might seem intimidating, especially if you haven’t done it before. But it’s not as complicated as it sounds. This week on Five Tips Tuesday, we’ll help you build a strategic business plan. Learn how to build the foundation for your entrepreneurship success. Find out the questions your business plan should answer. Check out the latest news about the gig economy. Get the top new tools for freelancers that entrepreneurs can also use. And last but not the least, read the book that can help you create a killer business plan. Entrepreneurship opens tons of opportunities. You have the freedom to work from home, be your own boss, and travel without abandoning your job. While it is a rewarding path to take, it’s still full of hits and bumps. But there is a general process you can follow to get where you want to be. Take a look this step-by-step guide to building the foundation for your business. Your business plan is your roadmap to success. The better your map is, the more likely you’ll reach your goals. To ensure that you’re writing a concise plan, it should answer the key questions. Take a look at this infographic to find out what those key questions are. Due to its amazing perks, more and more people are becoming part of the gig economy. But according to Carl Reader, author of the Startup Coach, the gig economy lets big businesses capitalize from third class citizens. Also, there’s the wider question on whether the gig economy is beneficial or a tactic for the large companies to avoid their obligations as employers. As an entrepreneur, the tools you use play a vital role in your productivity and work success. Check out these top new tools that can make your daily tasks easier. Do you want to write a good business plan but don’t know how? Or do you easily get intimidated with the traditional business plan templates? If your answer is yes, then it’s time to add “The Productive Artist’s Business Plan” in your bookshelf. Designed for artists and creative entrepreneurs, this book will let you build a fulfilling business around your art. It will help you outline your offerings, craft your marketing, and design your action plan. Do you have other tips on building a strategic business plan? Share it with us in the comments.